Since alleged gunman Dylann Roof has been charged with the killing of nine people inside the Emanuel African Methodist Episcopal Church in Charleston, South Carolina, major debate has shifted over to Roof's possible racist motives and the influence of the Confederate flag. 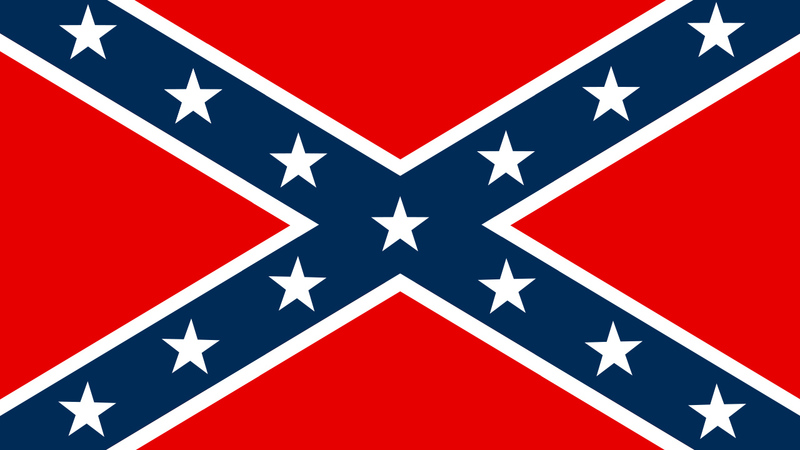 While heated debate is taking place over whether or not the flag should be banned altogether, historians have pointed out that the cross and stars design, commonly known as the "Dixie" flag, was technically never the official flag of the Confederate States of America. Popular YouTube video maker CGP Grey created the above educational video to explain, regardless of political opinion, that what is being purported as the CSA national flag was actually used as a battle flag. Grey, an amateur historian, goes as far back to the flag's inception with the initial "Bonnie Blue" flag which borrowed from the short-lived nation of West Florida. The CSA continued to make many design changes to the flag to better distinguish themselves apart from the United States, eventually deciding on the "Star and Bars" design as the official Confederate national flag, though it still bore a strong resemblance. As more states joined the confederacy, more stars were added to the flag. The "Stars and Bars" design proved to be ineffective for use in the battlefield because it looked too similar to the the United States' "Stars and Stripes" flag, causing confusion and friendly fire. Eventually, the CSA army and navy forces adopted the "Dixie" design as a battle flag, first introduced by the Army of North Virginia under General Robert E. Lee, after having been previously rejected as the Confederate national flag in 1861. The Saint Andrew's Cross ("X") element, which was the flag of Scotland, was chosen out of disagreements that a standard cross would too easily resemble religious iconography. Due to its popularity, the CSA eventually incorporated the "Dixie" battle flag into the top left corner of its second national flag in 1863 called "The Stainless Banner," and again with the third national flag, "The Blood-Stained Banner" in 1865. Though the battle flag is widely thought to be the official Confederate flag, Grey and other historians say that technically is not the case. Across the nation, the battle flag has been the subject of heated debate, with many considering the flag to be a modern-day symbol of racism and slavery while others argue that it speaks for states rights and southern heritage. Which states are reconsidering the Confederate flag?